The leaves of the Ginkgo are known to be fire retardant. 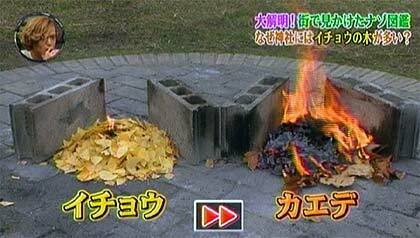 In an episode of “Sekai Ichi Uketai Jugyou”, a Japanese variety show, they show how Ginkgo leaves exposed to fire are far less flammable than leaves of other trees. Photo/video and more info on the website of Japan Probe.